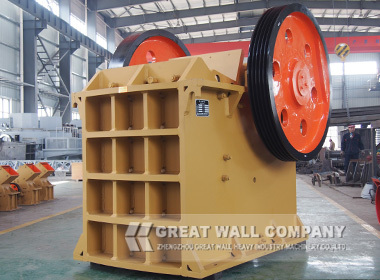 What are influences of All-weather strategic partner on Jaw Crusher ? NewsHome > News > What are influences of All-weather strategic partner on Jaw Crusher ? All-weather strategic partners means that we are always in the same side, Our China president Xi Jinping says that Pakistan is the only Chinese All-weather strategic partner in the world. As what has mentioned above, our mining machinery also have brilliant prospect in the fields of Pakistan infrastructure construction and cement plants. So that jaw crushers and cone crusher are highly demanded for Pakistan customers in quarry plant and artificial sand making plant. What are potential influence of All-weather strategic partner on mining machinery ? On supporting of the new policy, there are most favorable quotation for Pakistan customers, which not only saves the taxation but also reduces the freight fee. Therefore large scale size of PE 900 * 1200 jaw crusher machine and PE750*1060 jaw crusher are well sold for aggregate crushing plant in Pakistan. As the leading mining machinery manufacturer, Great Wall Company provides you ideal stone crushers with excellent performance at competitive price, Welcome to consult our online service with optimized scheme for your practical project. Previous: What are mobile jaw crushing plant functions for construction waste?